Benefits of Macadamia Nut Oil & DIY Hair Mask! Submitted by cosamo_prime on Wednesday, March 26, 2014 - 12:28. Love Your Color semi-permanent hair dye is enriched with Macadamia Nut Oil. This oil is what leaves your hair looking shiny, healthy and not over processed if you use the dye. But the real question is what is Macadamia Nut Oil and how does it benefit my hair? Increase Strength: The stronger your hair is the less damage and breakage you will have. When Macadamia Nut Oil is applied to your hair, (including the roots) it can increase the strength of your hair and make it strong and smooth. Eliminates Frizz: The essential fatty acids and vitamins found in macadamia nut oil are what eliminate frizz. Buzzle.com says, “It is capable of moisturizing and strengthening rough, dry, frizzy and limp hair. This is because unlike coconut oil which penetrates the scalp, this oil coats the hair follicles and scalp, thereby preventing loss of moisture. For this mask you will need 2 avocados that are peeled and pitted and 1 tbsp of Macadamia Nut oil. You can either mix them in a bowl together or put them in a blender. You should apply this mask after you shampoo your hair in the shower. Rub and massage the mixture all over your hair. Leave it on for 10-15 minutes and then wash out. Your hair should feel soft so you don’t need to use conditioner as well. Click here for DIY Hair Mask Video Tutorial! 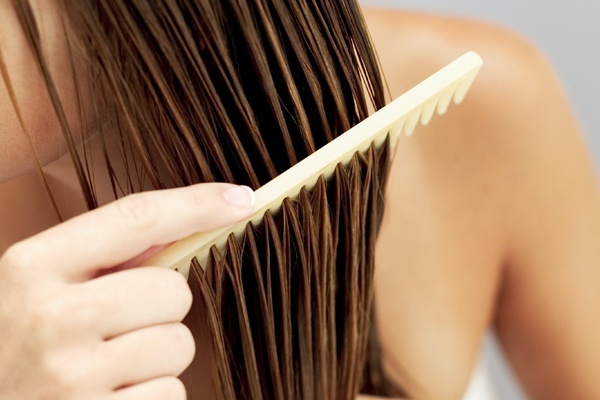 Click here for 3 DIY Hair Treatments! Read more about Benefits of Macadamia Nut Oil & DIY Hair Mask! Hair Oils: Good or Bad? Submitted by cosamo_admin on Monday, July 22, 2013 - 23:28. Which benificial hair oil works best for you? Let CoSaMo know in the comments below! Read more about Hair Oils: Good or Bad?